There's more bad news for the PC market, with a year-on-year shipment decline of 4.4 per cent in the fourth quarter in Western Europe, according to new figures released by Gartner. No part of the PC market was immune to the fourth quarter fall. Mobile PC shipments were down 6.5 per cent, while desktop PC shipments fell 0.3 per cent. 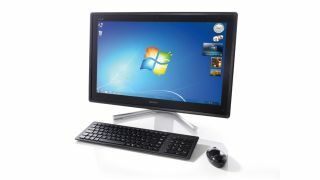 PC shipments in the professional market dropped 1.7 per cent, while the consumer market took a worse hit of 7 per cent. Despite the figures, Gartner believes that tablets are having less of an impact than before. "Shipments for traditional PCs (desktops and mobile PCs) in 2013 decreased 14 percent, but the rate of unit decline is moderate across geographies — which could indicate that the impact of tablets cannibalizing PC sales in mature markets is fading," said Meike Escherich, principal research analyst at Gartner. "Additionally, large numbers of professional PCs running on Windows XP remained in use, and the corporate market has been increasing its PC replacement — making up for a weak consumer PC market." HP remained top dog in the Western European PC market, despite a slight drop in shipments in the fourth quarter. It shipped 3.24 million units, compared to 3.29 a year before, a decline of 1.8 per cent. However, it enjoyed a small increase in market share, up from 21.5 per cent to 22.1 per cent, firmly ahead of its competitors. Lenovo was in second place, shipping 1.95 million units, an 11.8 per cent increase over the 1.74 million it shipped in 2013. Its market share also grew from 11.4 per cent to 13.3 per cent. Acer came in not far behind with 1.8 million shipments, up 2.4 per cent from the 1.75 million it shifted last year. Its market share also increased from 11.4 per cent to 12.2 per cent. Asus took the biggest hit, but still managed to take fourth place. Its shipments fell 15.6 per cent, from 1.72 million to 1.45 million. Its market share dropped as a result, down from 11.2 per cent to 9.9 per cent. Apple enjoyed the largest growth of a whopping 29.5 per cent, with shipments up from 1 million to 1.3 million. Its market share rose from 6.5 per cent to 8.9 per cent. The iPhone maker has traditionally performed well in the pre-Christmas shopping period. In the UK alone, the scene is similar, with HP and Lenovo in first and second, and Apple in fifth. Acer and Asus are replaced by Dell and Toshiba, however. 2.9 million PCs were shipped in the UK in the fourth quarter, a drop of 6.7 per cent from the year before.